And it’s the Year of the Pig- who’d have guessed? Thank you Wiltshire Museum for this tweet. 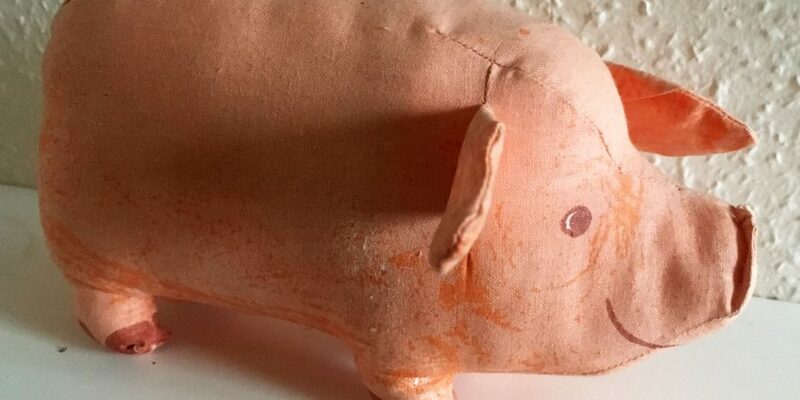 According to chinese new year website – pigs are the symbol of wealth. Their chubby faces and big ears are signs of fortune as well. I’m taking the headline ‘Pigs have a beautiful personality and are blessed with good fortune in life’ with a pinch of salt or should that be with a dab of mustard! 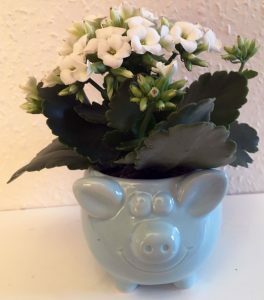 So I bought myself a pig with a plant. I usually manage to kill indoor plants within a week. If it survives a month that will be a good omen for the year ahead – even though I’m a Rat (we won’t go into that here) I can hope. Lots of commissions and lots of sales of my Bringing Home the Bacon.